“OUTRAGEOUSLY FUNNY.” That’s what critics have called this comedy about a recently retired couple that try to sell their house ‘undercover’ from their overly attached adult children. Audiences from 16 to 80 years old have heartily embraced Back to the Nest, its quirky cast of characters and its premise of what happens when older kids move back home with mom and dad. 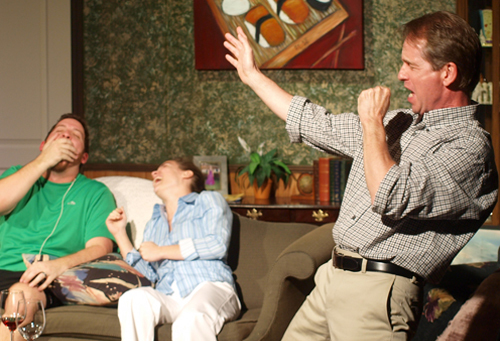 Combining farce with real life drama, this play has universal appeal in its messages about love and family. Sometimes adult children just won’t fly away! Characters: 4 Men, 5 Women. World Premiere: July 15, 2011. Venue: Village Repertory Theatre Company, Charleston SC.